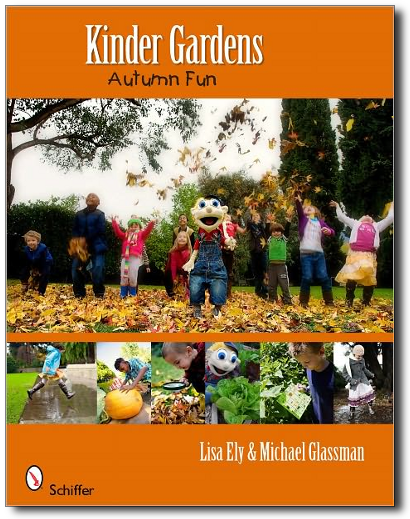 Extend your gardening season into autumn and enjoy those golden orange leaves and pumpkins with your children. With 235 color images, see for yourself that it's not too cold to still play outside. Games like soil bag obstacle course or creating borders for your spring flowers with a digging contest are perfect during this cooler time of the year. A little planning and a bunch of fun ideas can help you encourage your children's exploration and enjoyment of the garden no matter the time of year. Karden® is there waiting to make garden glove puppets and garden art brushes, go on a scavenger hunt, and play garden tic tac toe. With over thirty projects, the possibities are endless!